Designed for a Higher Calling. 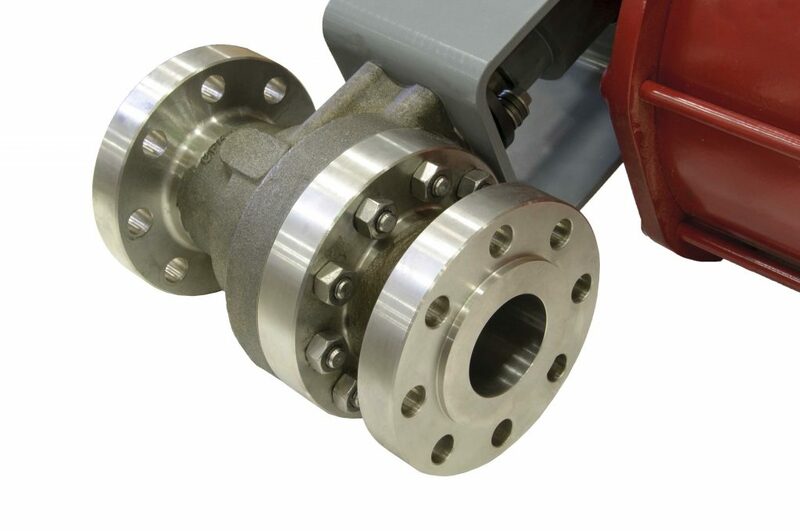 Order up a safer, higher-performing side-entry valve that is both tough and multi-functional. The NexTech® E Series (enhanced series) represents a true engineered-to-spec, specialty valve with materials selected to meet the needs of the most demanding applications. These valves are designed and configured to handle corrosive, high-temperature and high-solid applications requiring zero-leakage shutoff. ValvTechnologies’ NexTech® valves offer safety and reliability in a wide variety of pressure-critical applications. Live-loaded gland area. The NexTech® design features a four stud, live-loaded assembly designed for heavy industrial applications. The sealing material is high purity Grafoil® surrounded by stainless steel wire mesh anti-extrusion rings. Carbide sealing surfaces. The sealing surfaces are overlaid with tungsten or chromium carbide using our exclusive HVOF RiTech® process. These surfaces have a hardness of 68 – 72 Rc to allow long periods of operation in the most severe conditions. Solids resistance. In addition to the carbide coatings which will allow the valve to function in highly abrasive applications, the individual valve parts have additional seals to prevent interference from solids in the system. This provides for outstanding performance in catalyst systems, streams with solids contamination and polymers. Background: During a scheduled weekend outage, a large combine cycle power plant discovered a valve that would not move. Upon further inspection, the customer found a damaged coupler on the valve’s mounting bracket. Assuming this damaged coupler was causing the valve to lock up, the customer decided against purchasing a new valve and instead simply replaced the damaged mounting bracket. Preparing to go back online, the customer found the valve would still not function. Requirement: Immediate shipment of a V Series metal seated ball valve for main steam draining was required to avoid extended outage time. Result: Receiving the emergency request on Saturday, ValvTechnologies quickly assembled a cross-functional team to provide the power plant with an immediate solution. Representatives from the Shipping, Warehouse and Service departments were called to the Houston office to solve the customer’s issue. The ValvTechnologies’ team was able to identify, assemble, test and ship a replacement zero-leakage valve by the end of day Saturday, the very same day the emergency request was received. The customer received the valve Monday morning and immediately installed it. The new valve functioned perfectly and the customer was able to go back online, saving thousands of dollars in potential down time and revenue loss.